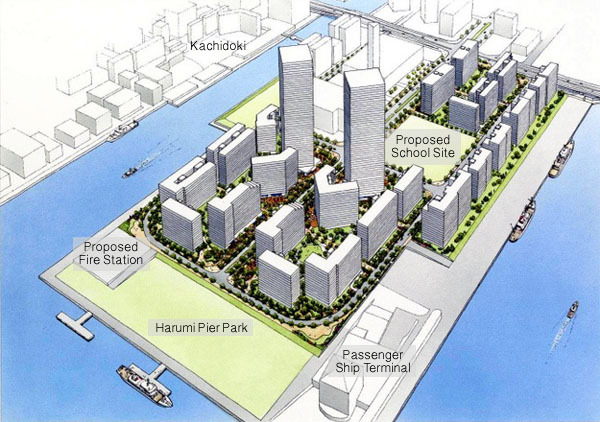 Official sales marketing for the Athlete’s Village in Tokyo’s Harumi Island was announced last week. The Athlete’s Village will be completed in time for the 2020 Tokyo Olympics, with the buildings to be converted into a mix of condo-type and rental-type apartments afterwards. Some additional buildings will be completed after the Olympics have finished. The Tokyo government is aiming to have the No. 2 Arterial Road completed by 2022. This road will connect the man-made islands of Kachidoki, Harumi, Shin-Toyosu and Ariake with Shimbashi and provide more convenient access for trucks to access the new fish market and logistics facilities on the islands. 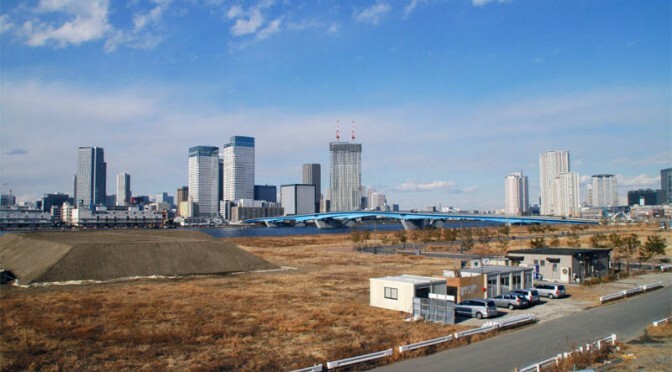 The opening of the road will be two years later than originally planned due to the delayed relocation of the Tsukiji Fish Market to Shin-Toyosu island. Part of the No. 2 road will need to pass through the fish market’s old location in Tsukiji, which means buildings will need to be demolished. Sales began in June 2017. Park Tower Harumi is a 48-storey high-rise apartment building under construction on the man-made island of Harumi in Tokyo Bay. 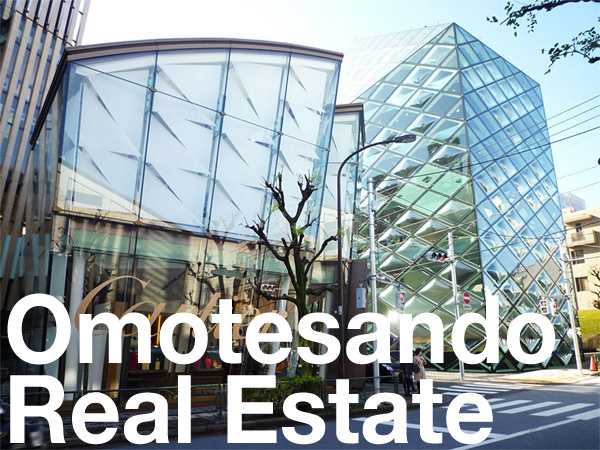 Mitsui Fudosan Residential acquired the site for 1.7 billion Yen, or 887,200 Yen/sqm. The building will contain 1,076 apartments. Facilities will include concierge, laundry room, a hyperbaric oxygen capsule, share cycles, indoor/outdoor camping facilities and several resident lounges. Apartments on the top floor are priced from 1,500,000 ~ 1,815,000 Yen/sqm depending on direction, with south-east and south-west facing apartments having the highest prices. Apartments over 100 sqm in size are considered ‘Premium’ apartments and are located on the top 2 floors of the building. 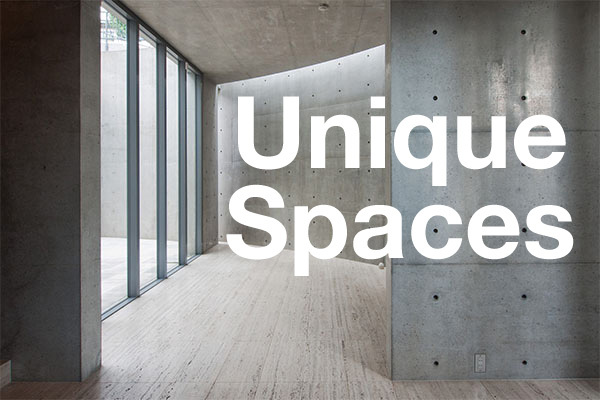 2 bedroom apartments are priced from 56 million Yen, and 3 bedroom apartments are priced from 64 million Yen. Because the building is a little far from transport, a shuttle bus will operate on certain times between the building and Tsukishima. Completion is scheduled for May 2019 with apartments ready for delivery to buyers from September 2019. Construction was originally scheduled to be completed by June 2017, however the completion date has since been delayed by 2 years. The northern side of the site was a former cement factory. This site is also earmarked for a potential redevelopment in the future. Harumi Island was reclaimed in 1929 and originally used for port facilities and factories. The south-western end of the island will be home to the Athlete’s Village for the 2020 Tokyo Olympics. After the Olympics, the Village will be converted into residential apartments for rent or sale. The Tokyo Metropolitan Government announced the model plan for the 2020 Summer Olympics Athletes’ Village in Harumi, Chuo-ku, Tokyo. There are plans for 22 residential buildings ranging from 14 ~ 17 stories. After the games, the apartments will be sold off as either rental apartment or condominiums. Two 50-storey high-rise apartment towers will also be built after the games, along with a school and retail facilities. A total of 6,000 apartments will be supplied. Chuo-ku will soon begin investigating the possibility of creating a new subway line to link Tokyo’s bayside areas, including Harumi, to the Ginza district. The manmade islands are currently going through a construction boom with a number of high-rise apartment towers under construction. The Athletes’ Village for the 2020 Olympics is expected to boost the population by 12,000 after the Olympics are finished and the apartments are made available to the public. 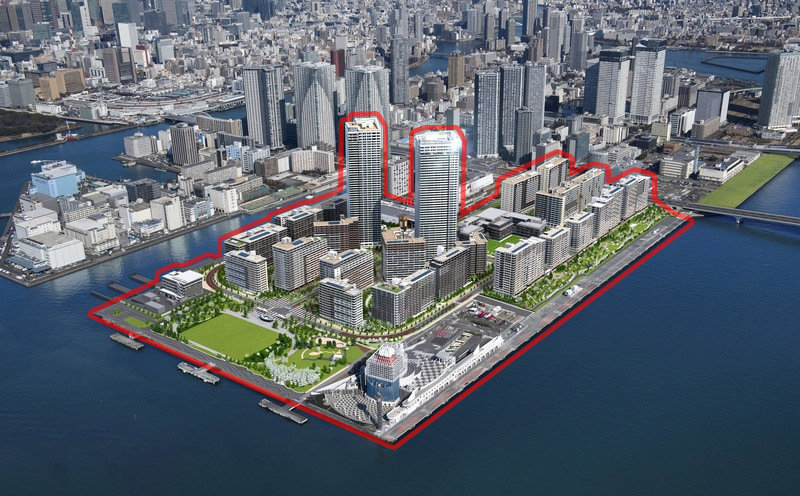 In October, Tokyo Kantei published a report focusing on the existing apartment stock that lies within an 8km radius of the man-made island of Harumi in Tokyo Bay. According to the data, there were 10,195 existing apartment buildings containing 540,057 apartments within 8km of Harumi. 40.5% of Tokyo’s 23-ku apartment stock is located within this zone. Current estimates show another 10,000 apartments are expected to be supplied in the bayside area in the next few years. 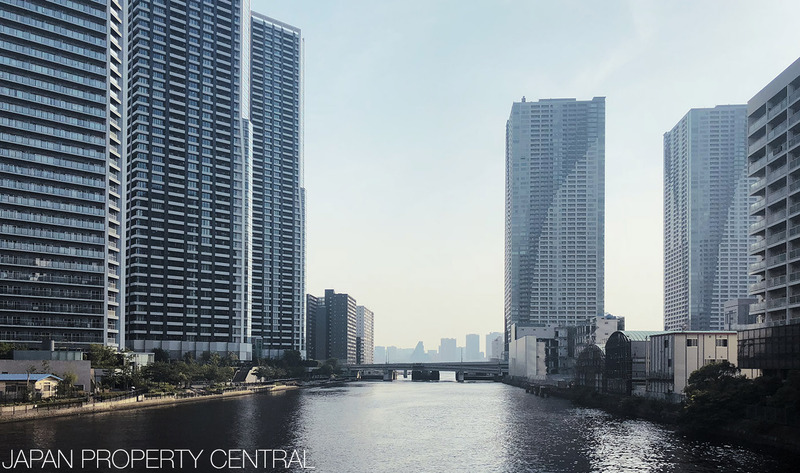 The sales office at The Parkhouse Harumi Towers was abuzz with activity on Sunday after it was announced that Tokyo was chosen to host the 2020 Summer Olympics. The twin high-rise condominiums are located on the same island in Tokyo Bay that will be the site of the Athletes Village. On a normal weekend, the sales office receives around 30 visitors, and make 4 or 5 sales. On Sunday, however, as many as 60 people visited the showroom and 10 purchase agreements were signed. 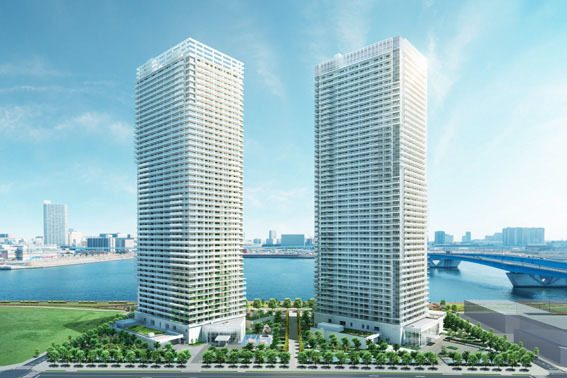 Mitsui Fudosan Residential have announced plans for a new condominium to be built on the site next-door to The Parkhouse Harumi Towers in Tokyo’s bayside Harumi area. 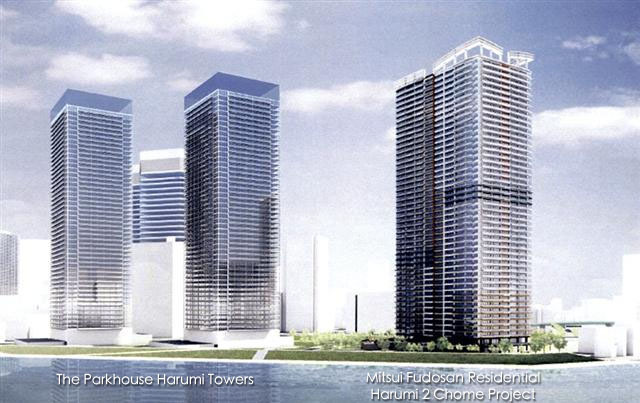 The project is currently called the Chuo-ku Harumi 2 Chome Project (the official name was later announced as Park Tower Harumi). Construction was scheduled to begin in July 2014 with completion by June 2017, however in mid-2015 it was announced that the expected completion date has been delayed until June 2018. Sales have also been postponed. *Update: Sales promotion activity re-started again in December 2016, with sales scheduled to start in June 2017. Completion is now scheduled for May 2019, with apartments ready for delivery by September 2019. The 49 48-storey condominium will be 180m 178m tall and contain 1,120 1,084 apartments.